This post comes to us from Dave Dryland, Custom Department Manager at Gibson Sound & Vision. For more information on home automation, connected devices, and other current consumer electronics trends, check out www.shopgibson.com, @GibsonDaveD on Twitter, or email daved@shopgibson.com. Much has been written about the fabled ‘Smart Home’, and how the ‘Internet of Things’ is connecting many of our new household appliances and gadgets. Coming from someone who’s been slowly growing the list of ‘smart’ devices in my own home, my thoughts now tend to go more towards how best to take advantage of the automation features of those products. The tasks I target for automating are the ones that I repetitively do every day, every week, or every month. One of the most common examples is a simple one, turning my outside lights on and off in the evening. This is a routine task that most lighting timers can handle, however a good automation system tracks daily sunset and sunrise times, so it can adjust accordingly. Another very basic example, but one that I find very handy, is turning on a select series of lights when I get up in the morning, lighting my way directly to my morning coffee! Automating this process ensures that light levels are set to minimal levels, so that no one else in the house wakes up, and so that I don’t burn out my retinas before I’m fully awake. The examples above are basic but effective examples of daily automation, but some of my proudest programming feats are much more elaborate. One of the toughest things about living in Canada, at least in my opinion, is having to start my drive to work in a cold car. I set to work on automating my morning ‘warm up the car’ process, which seemed rather simple because I always leave for work at the same time. I integrated my car starter into my home automation system, and set a daily schedule for it to start the car ten minutes before I would normally leave. This programming generally worked out great, however I began to find that I was ‘pre-heating’ the car even on mild mornings. To rectify this I programmed my system to automatically check the morning’s temperature, before deciding if it should start the car or not. I can now leave this programming in place all year round, and my system will only start my car 10 minutes before I leave if the outside temperature is below 0. The convenience of using a simple handheld remote, wall mounted touchscreen or keypad, or an app on my mobile device, make most of my ‘on-demand’ tasks simple to operate, however with the developments in voice control there are now even easier options for controlling my home. Recently I added a Google Home to my system, giving me an in-house ‘personal assistant’ that’s always listening for my every command. Simple voice commands will now allow me to start music playing in any, (or every,) room in my house, open or close the garage door, start the car, etc. etc. etc. These examples of voice control aren’t exactly ‘automation’, since I still need to ask Google to do my bidding, however they sure do make life easy! In summary, I believe we are now living in a time when ‘smart’ devices can truly make life easier for most of us, and certainly add way more ‘cool factor’ to our homes. Whether it be individual connected devices or an interconnected automation system, I highly recommend beginning the process of investing in ‘smart’ devices whenever possible. In today’s Audio marketplace one of the biggest growing categories is the soundbar. Adding a Soundbar to your television really helps the audio performance of your TV viewing experience. Let’s face it, today’s LED and Plasma TV’s built-in sound is adequate at best. There are lots of Soundbars in the marketplace to choose from. 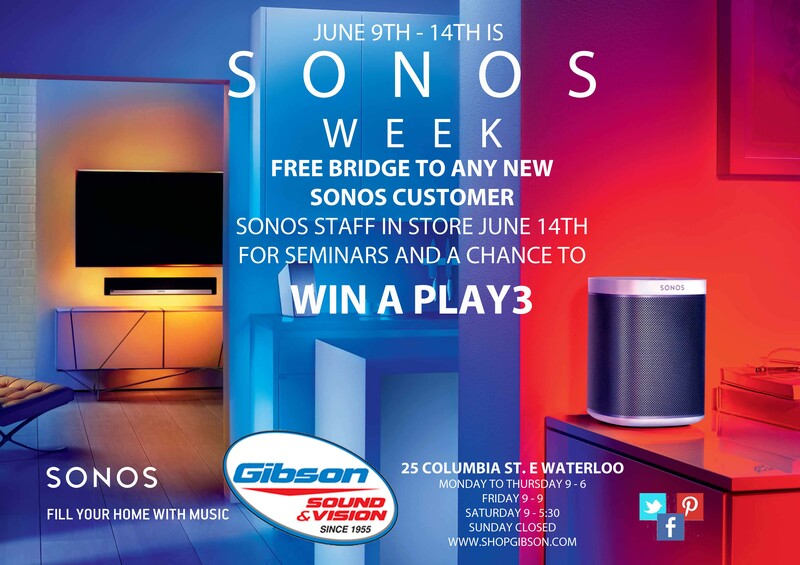 At Gibson Sound & Vision we carry Sony, Panasonic, Bose and Boston Soundbar products. 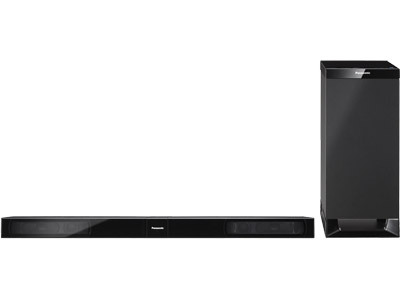 Sony, Panasonic and Boston make some nice sounding Soundbars at a very reasonable cost. Bose would be on the upper end of Soundbar technology. The product is a little more costly but truly a full and powerful experience. 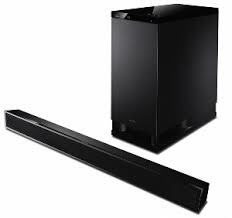 Soundbars really add a clean look to your room without the mess of wires. They also eliminate the need of a conventional receiver because they have their own amplifiers built-in and in a lot of occasions a wireless subwoofer. 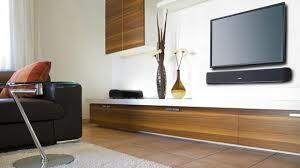 The wireless subwoofer is convenient for placement options because all you need is an electrical outlet. Give a Soundbar a listen when choosing a audio enhancement for your TV. It might just be what you were looking for. Gibson Sound & Vision has currently been making some big changes. We just finished renovating a new “Listening Room.” I have to say even if you are not presently looking for audio equipment you should drop by and have a listen, you will be amazed. We have installed the Kef “R” series surround sound package paired with a Marantz SR7007 Head End receiver. 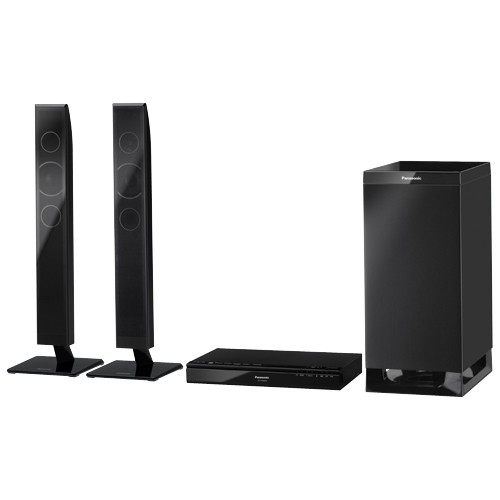 Prepare to be immersed with outstanding clarity and the broad dynamic range presented by this equipment. The Listening Room has Marantz Reference Audio Equipment incorporated for a truly spectacular 2-Channel experience. Producing music just as the artist intended is the way Marantz has been building their equipment for years. High quality and technical accuracy is why Marantz is a leader in the industry. 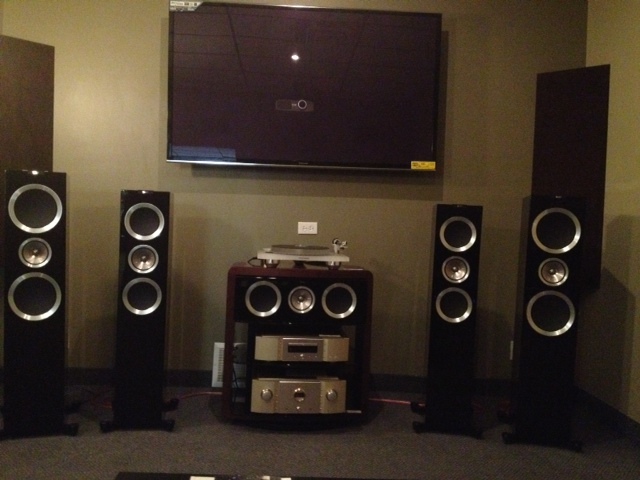 At Gibson Sound & Vision we are always striving to provide you with quality equipment at the best value. We have professional and informative staff that will assist you with designing the prefect system and set up for your needs. Our CEDIA certificated installers can even come out and install your equipment to make sure everything is completely optimized. Our full service department will always be here to help you for years to come. 4K Televisions are now ready for entry into the customer marketplace. If you had the privilege of viewing the new 4K entry 84” by Sony you would have been in utter shock to say the least. 4K has also been termed as the “Ultra High Definition“(UHD) or Quad HD and has a pixel rate of 4096 x2 160, which is over 8 million pixels of picture detail. 4K Televisions will be entering the marketplace at a steady pace this year and will also provide other additional upscale features to enhance your viewing experience. Higher-end 4K Televisions will use multiple chip technology that will improve and enhance detail, while removing motion and frame noises. This is just a brief summary and personally I felt the picture gave you a much better depth of field and very little to no pixilation. Even very small images had great edging with hardly any Mpeg4 noise. Take the time to view a 4K Television; you will be happy you did. Gibson will be selling the 2013 Sony XBR series in April. We can’t wait for you to be amazed by 4K!